Every spring, I put out an elaborate Fairy Garden for my girls. They wait for the day every year, begging me to get out the little houses and accessories. They are equally sad every year when I put the fairy garden away in early winter. They always beg me to leave it out longer but I always argue they won’t be able to see it in the snow. My older daughter always argues that fairies deserve Christmas magic and light too which sparked an idea. 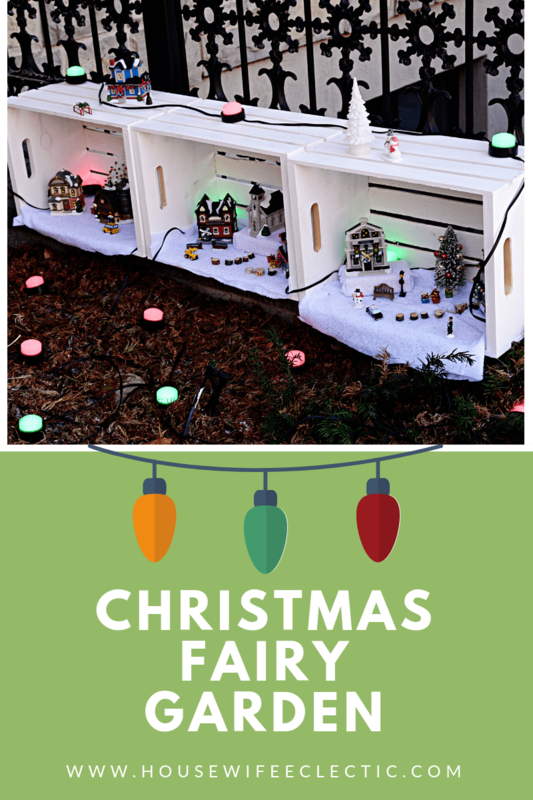 If you create a fairy garden with lots and lot of light, the fairies can have their Christmas magic AND the kids can still see the magic through the snow. Enter the Christmas Fairy Garden. I had a blast with this garden. 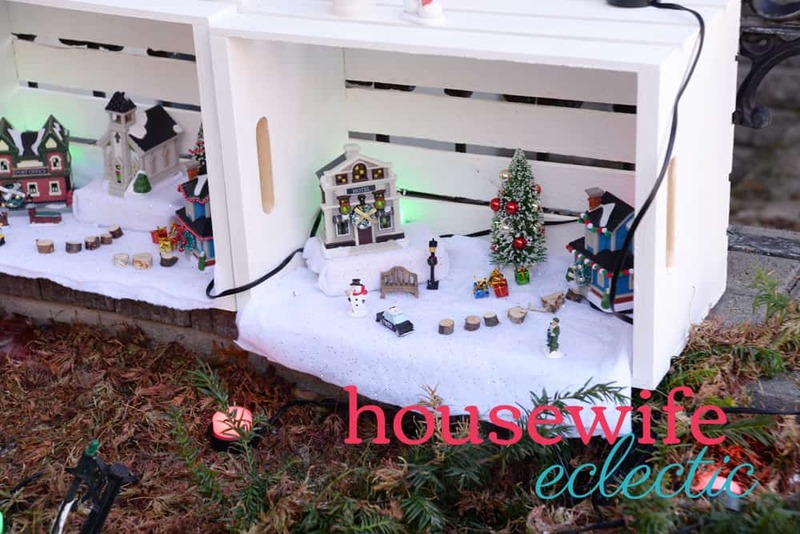 I used Enbrighten Seasons Color Changing Cafe Lights & Mini Landscape Lights from Jasco because they are so durable! You can purchase them on Amazon. We have a set we set up more than a year ago and they still look and work great and they have been outside all this time. 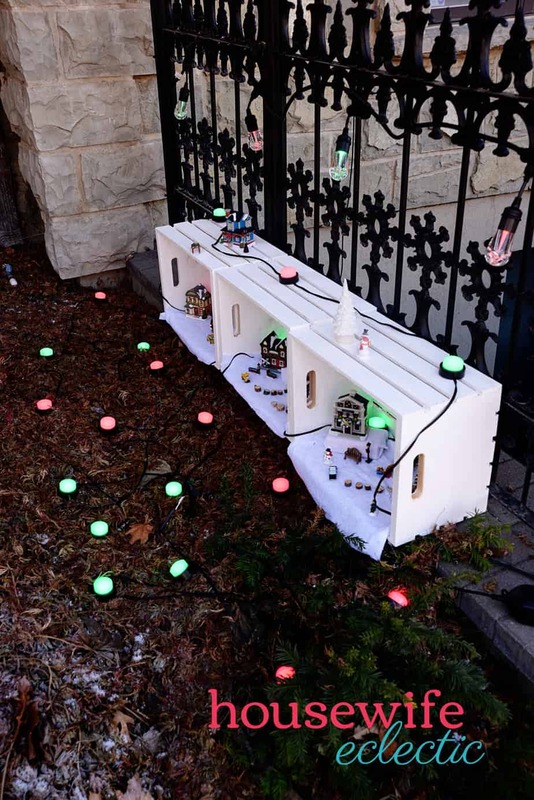 We used both Enbrighten Seasons Color Changing Cafe Lights & Mini Landscape Lights so that the fairy garden would be lit up from the ground and the fence above. One of the biggest reasons I love these lights? They are Color Changing lights. There are 16 different colors and selectable color modes that allows you to pick your favorite color, two-color combination, or preset color modes for over 120 possible color combinations! 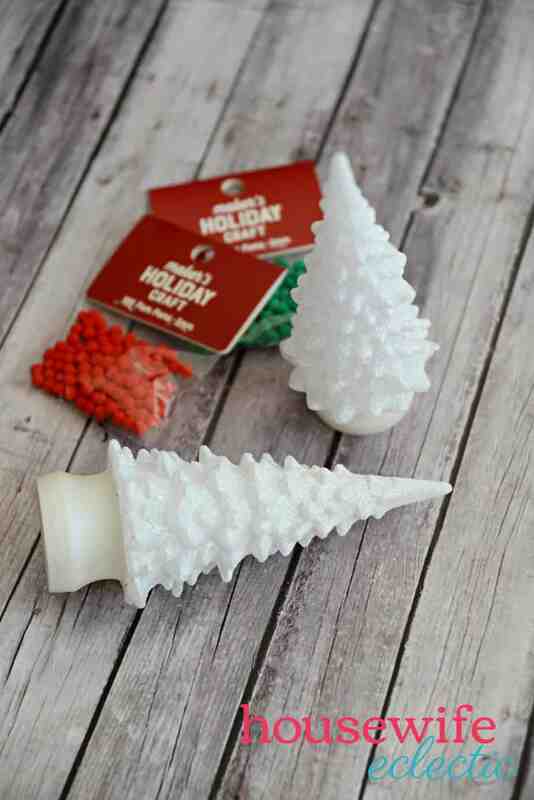 They have a Christmas present (green, red and white) which is perfect for our Christmas Fairy Garden! 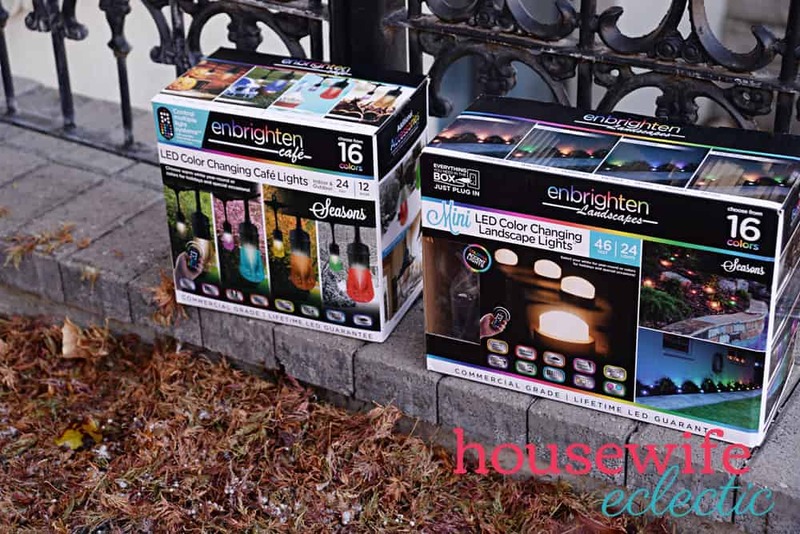 Enbrighten Color-Changing Mini Landscape Lights have multiple mounting options so you can hang them up or stake them into the ground. 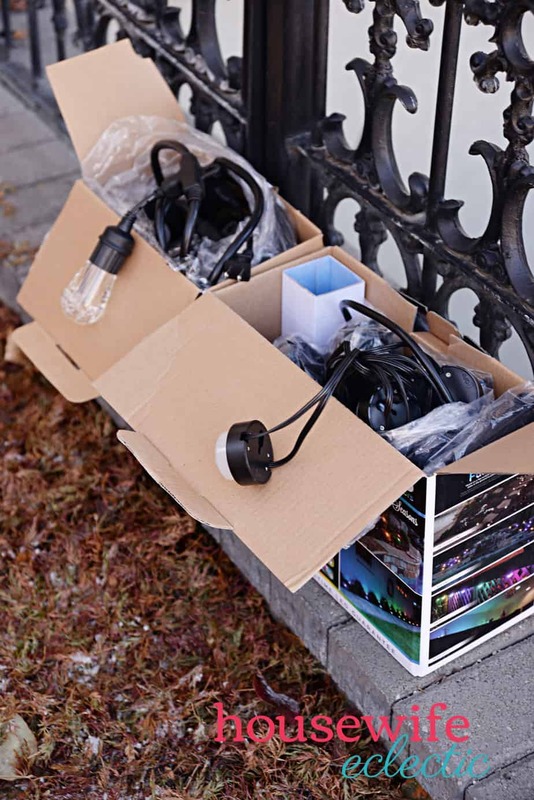 The multiple mounting options allow you to choose between up or down lighting for flower beds, gardens, walkways, decks, accent lighting, eaves, indoor, kitchens, holidays, celebrations, and more. For the Fairy Garden, I slide the stakes into each puck and then pushed them into the ground in front of our Fairy Garden. I didn’t stake each puck. I mounted some of them on top of the fairy garden and even a few inside of it as well. It really add a little bit of Christmas magic to the village! The lights are available in 3 different lengths (6 pucks/10 ft, 12 pucks/22 ft., 24 pucks/46 ft., and 36 puck/70 ft) All lengths have 22ft. 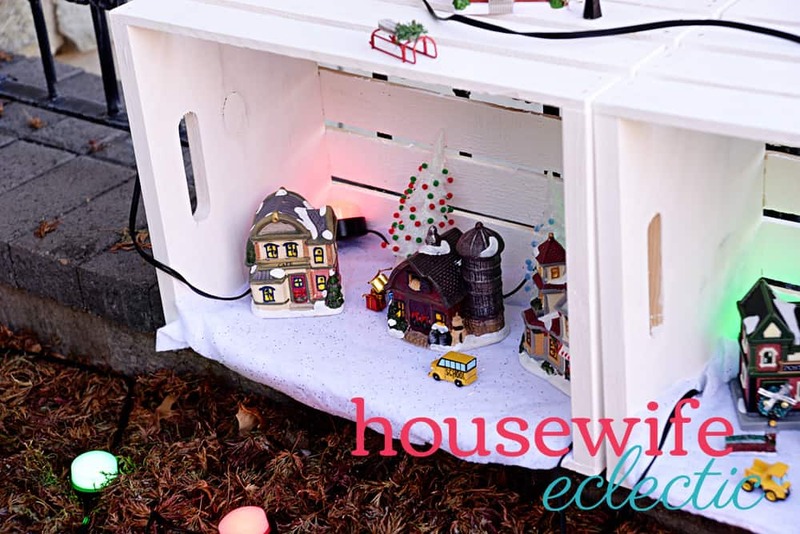 lead wire and flexible 2 ft. spacing between lights, so you can create your perfect village. For the hanging lights above the Fairy Garden I used Enbrighten Seasons Color-Changing Café Lights. These lights are SO easy to hang. I have used nails on wall where I can poke a hole but most often I use zip ties. 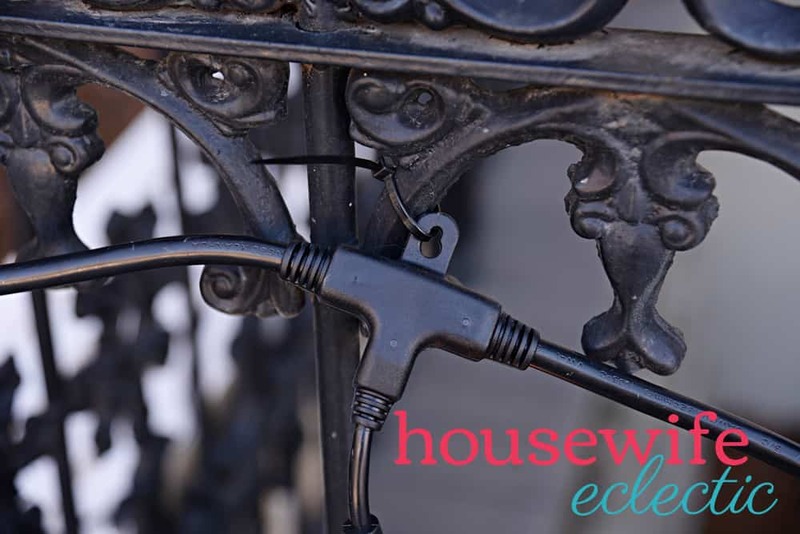 They have the perfect hanger on the back of every light for hanging ease. After I got the lights set up, I created the fairy garden. I used crates to house three different areas of the garden even though crates won’t completely protect the village from the elements, it will help them from being buried in snow, so they will be visible even after inclement weather. 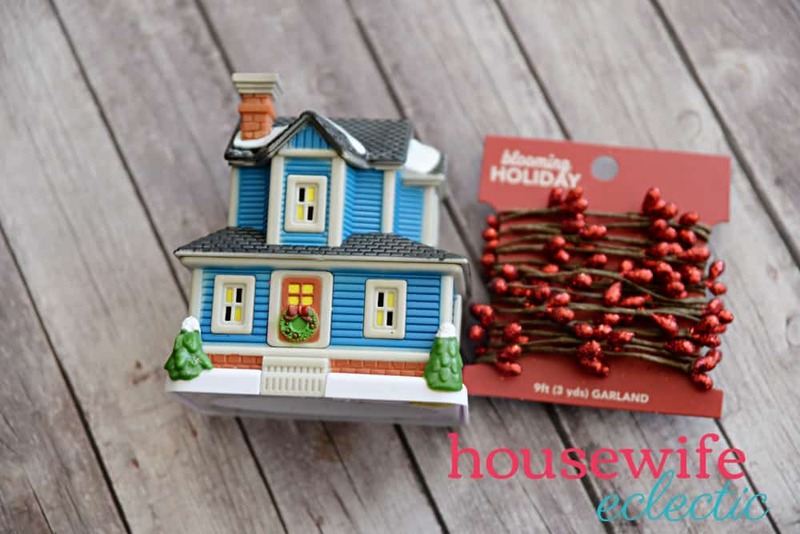 A trip to my local dollar store resulted in lots of tree, houses and other fun accessories. The biggest problem was that they all looked the same, but nothing a few craft supplies and a hot glue gun couldn’t fix. 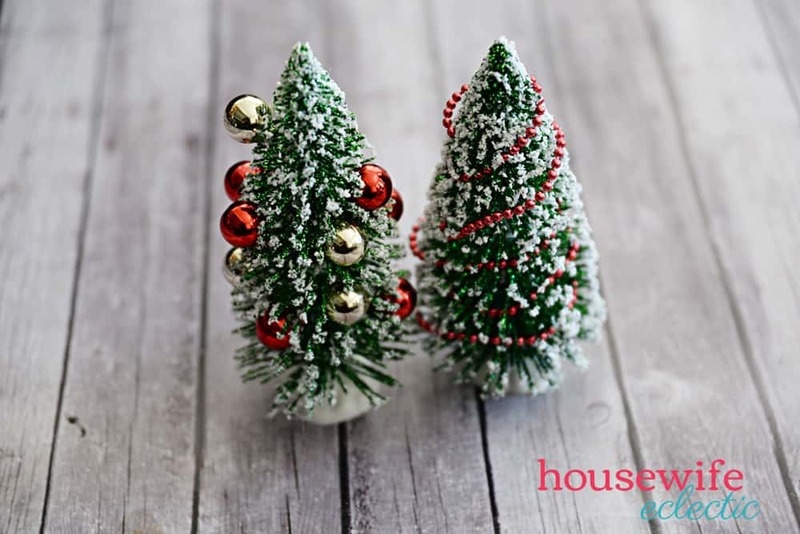 For the plastic trees, I took a bag of tiny pom-poms and hot glued them on each point of the tree. 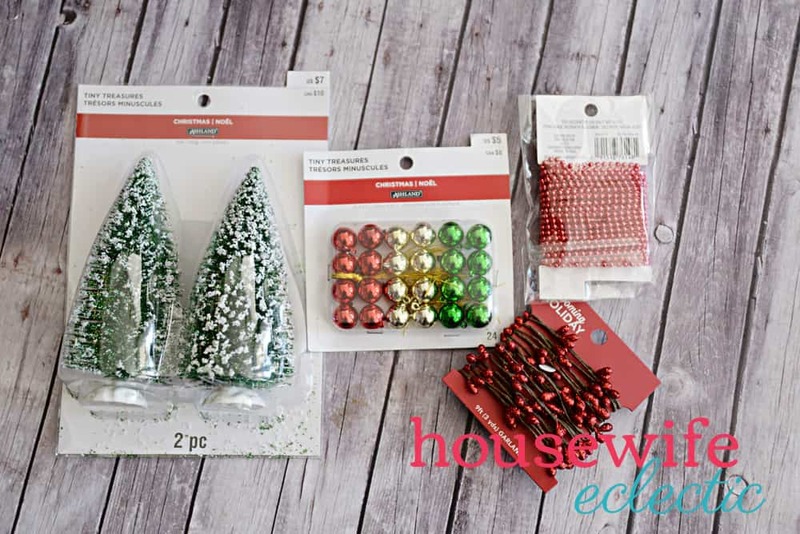 For the trees with branches, I grabbed a bunch of garland and little tiny ornaments. I wrapped the trees in garland or applies little ornaments all over the tree. 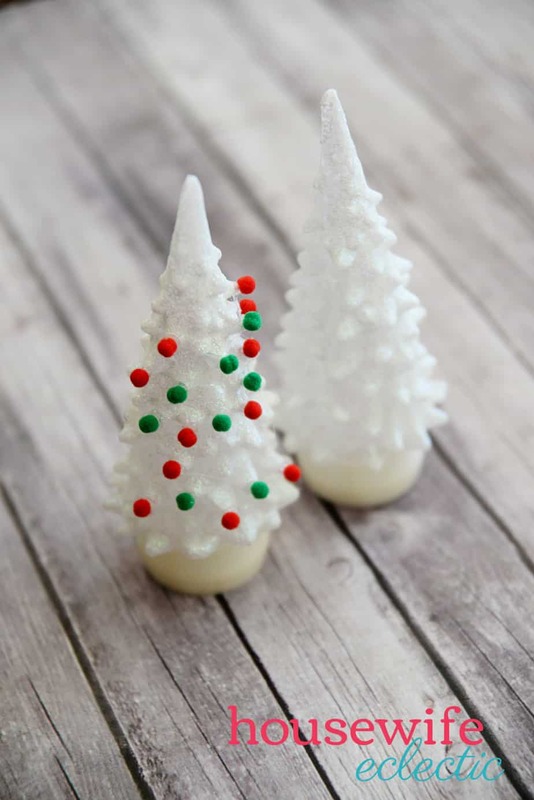 Apply the ornaments, by adding a dab of hot glue on the back of each ornament and then pushing into the tree branches. There was only one type of house at the store, so I covered each house in a different kind of trim. The first house got a pom-pom trim treatment. The second one got a garland treatment. The third house also got a garland treatment with a different kind of garland. I added small little wreaths to each one too! 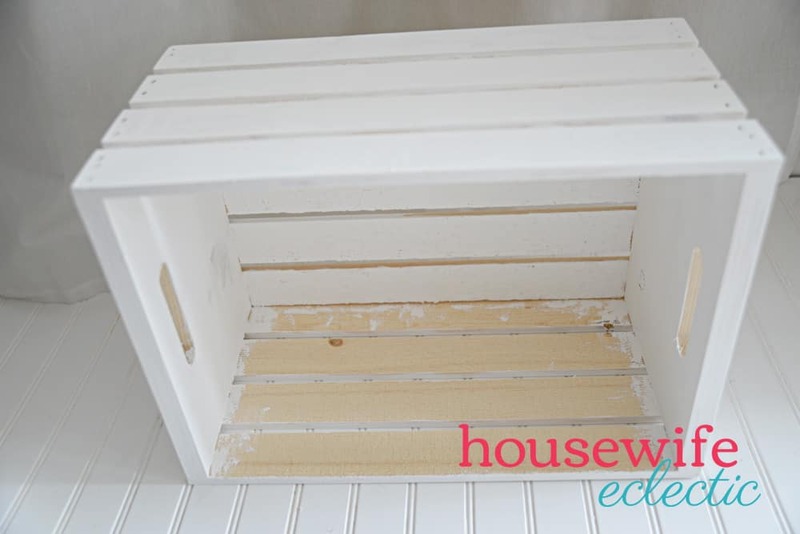 Painting each of the crates white, will help give your village a snowy feeling. I added white glitter snow felt to the bottom of each crate. I don’t expect this felt to last more than one season, but I love the way it looks. I even wrapped some wood blocks in the felt to give the village in each crate some height. 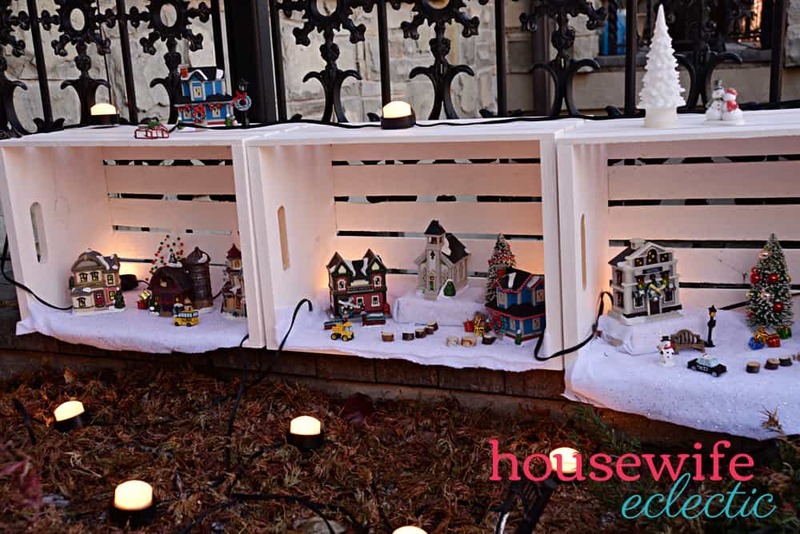 Add the Enbrighten Mini Landscape Lights to the back corners of your crate and then add your houses. I added one house in each corner for this crate and a tree in the middle. 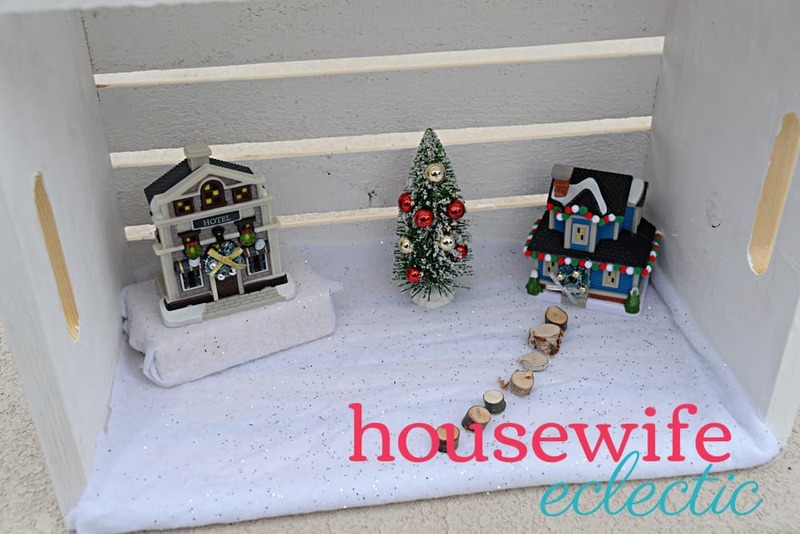 I also hot glued little tiny wood pieces in front of the house for a walking path. For the second crate, I added three houses and then trees in between each house. Just play around with each of the crates until the houses and accessories look the way you want them too. Most of the items are not hot glued down so you can move them around over and over again. Once you have everything set up, turn on your lights! 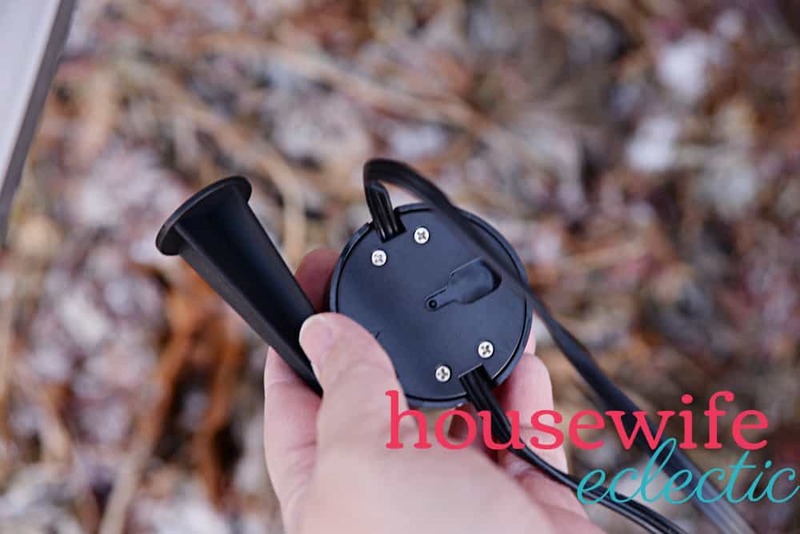 The lights come with an easy to use remote so you can easily set the colors and styles you want. Some of my favorite features include dimming, countdown timers, preset holiday themes (I am SO excited to use the Red, White and Blue on the 4th of July), effects, change colors and 3 adjustable white light (warm white, soft white, daylight). To make your own color combination on the remote, simply hit the Color 1 button, select your color choice and then hit the Color 2 button and select your next choice! It is that easy. 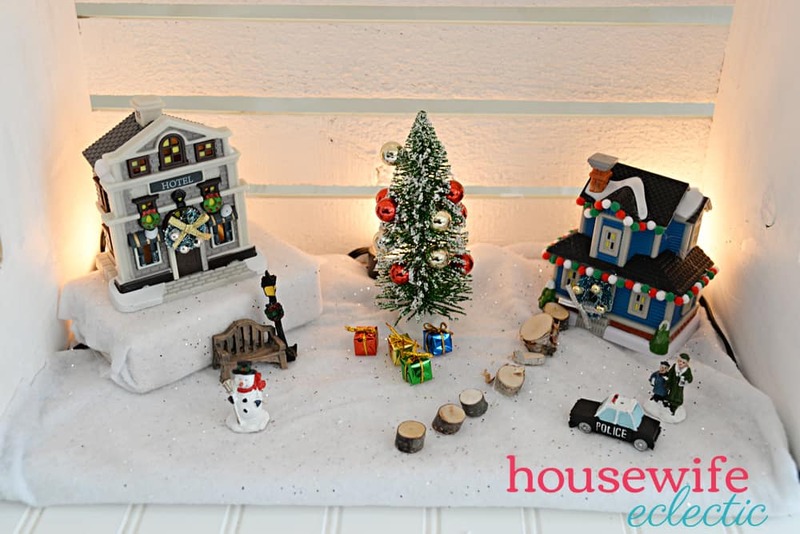 For the Christmas village, I love the soft white lights or the red, white and green preset! 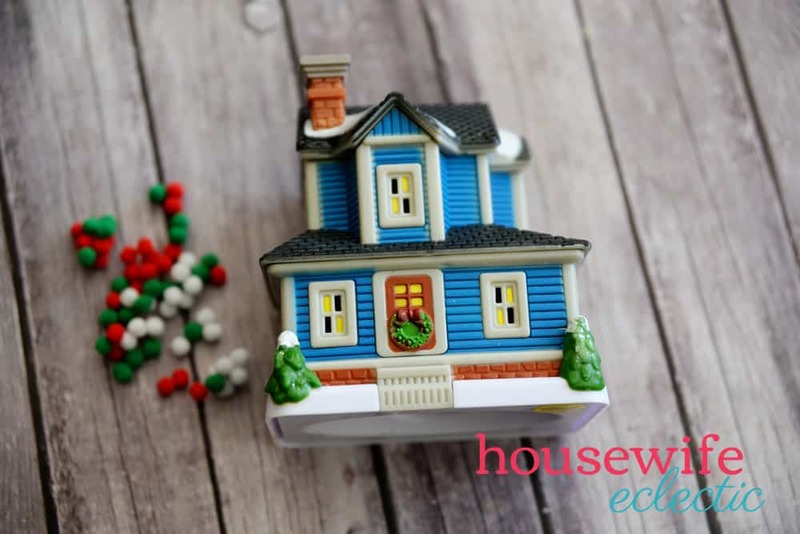 I can’t wait to turn it into a St. Patrick’s Day fairy garden with the green and white preset or an Easter Fairy Garden with the pastel colors preset. 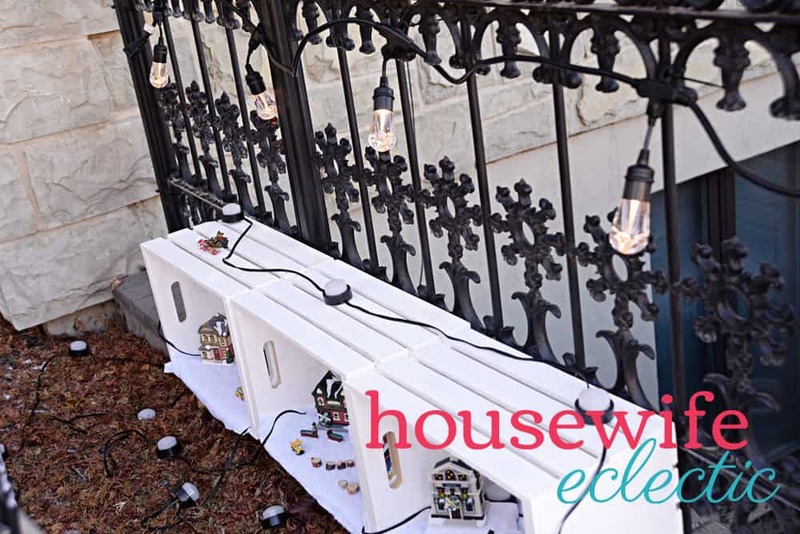 These lights are perfect for creating a statement piece in your yard! Everyone who comes to our house, notices our fairy garden. Do you have a fairy garden? That’s adorable! 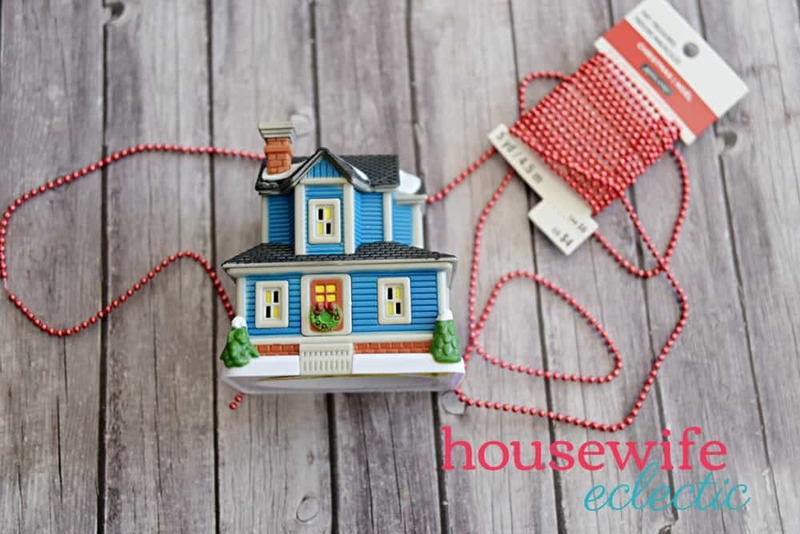 What a great craft project for the holidays! This is sooo beautiful…Oh I think the best word if “magical”. I will definitely try this at home! Thank you for sharing. Your fairy garden came out beautifully! And love that it is affordable to recreate. You can’t go wrong with the dollar store! oh super love the fairy garden, so cool and so original. Thank you so much for sharing. Very cute idea! My kids would love something like that! what a great idea. will definitely try this next year! How cute. I love this fairy garden. It’s very unique and pretty. This is so adorable and fun! It’s such a great way to change up Christmas decorations. I’ve never made a fairy garden. They sure can look cute. You did a great job putting yours together, it’s perfect for the season. Ah! This makes me want a little girl so I can do fun stuff like this with her lol. I love this activity! That is just adorbable! 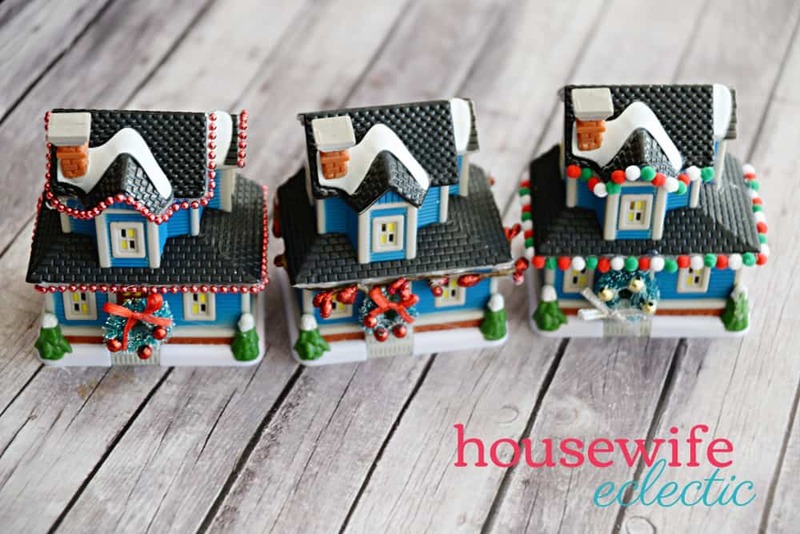 I love those tiny little houses and bet kids love imagining a family of fairies celebrating the holidays inside! Aw this is absolutely adorable! My kids would love help putting this together 🙂 Thank you for sharing the fun idea! Oh my word! this is so freaking adorable! I could never make my children come back inside again, lol! What a beautiful project! No wonder your daughters want to keep it in the garden for as long as possible. It looks adorable! This is such a lovely idea! I know a few people who love fairies, so I’ll be sharing this with them for sure!